AliExpressApi Import module is a smart module designed to achieve import & search operations from Aliexpress to your store . 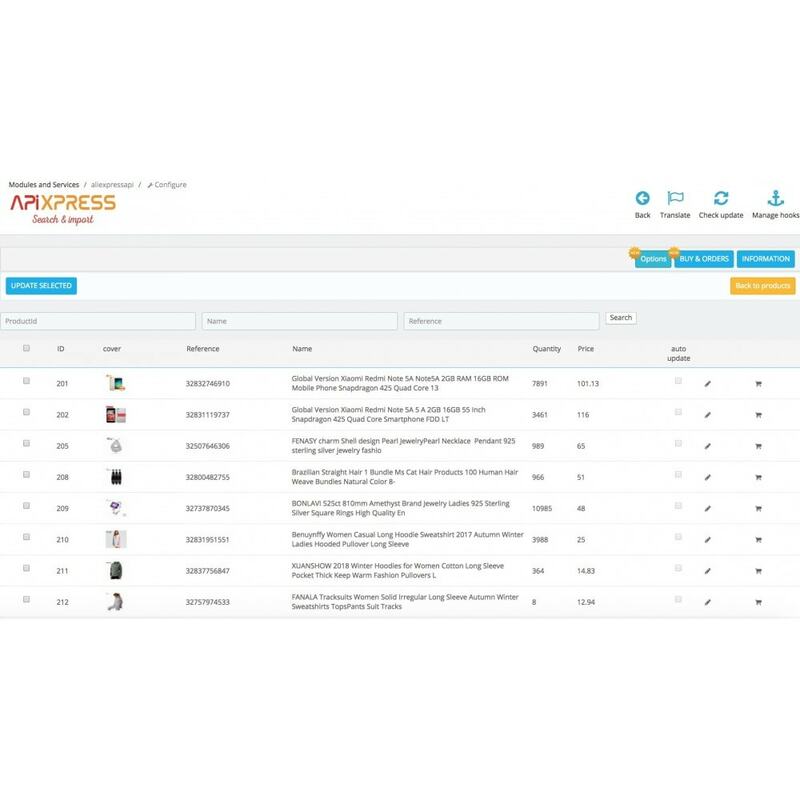 AliExpressApi Search & Import allows you to have a fast catalog search and import dropshipped products into your Prestashop store from Aliexpress. For those who don't know Aliexpress.com, it is a famous e-commerce platform that belongs to Alibaba Group which is specialized in the sale of products at wholesale prices, and is considered as the most visited e-commerce website. In addition, it enables small businesses to reach their customers all around the world, and it also facilitates their sales process. The best-selling products include electronics, fashion and fashion accessories. 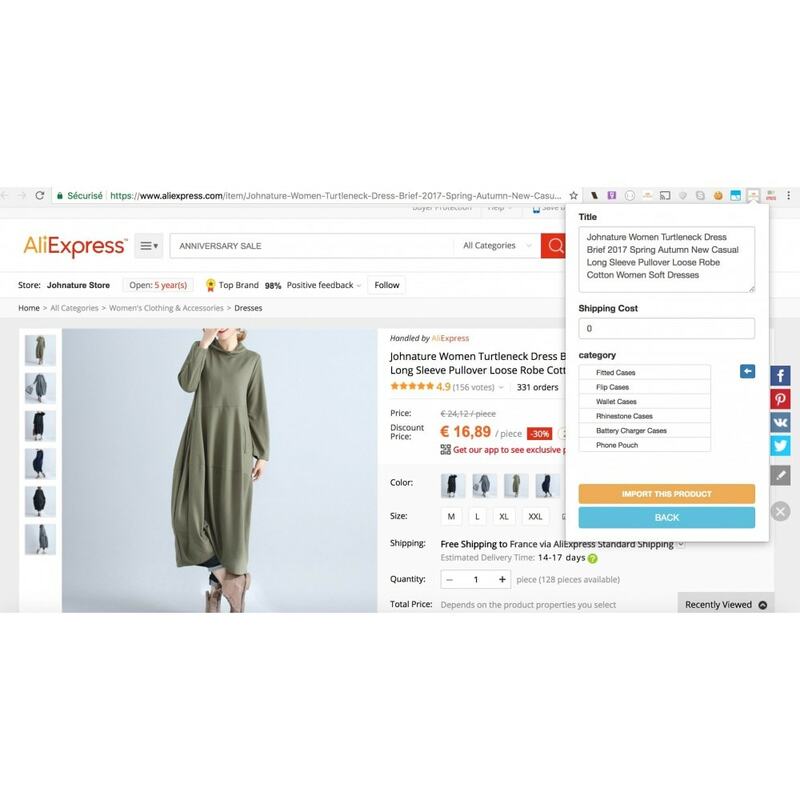 AliExpressApi for AliExpress Dropshipping: Why should You Try it? It doesn’t require a huge investment capital. you will not be spending large amounts of money on opening a physical store. You can easily and efficiently run your business from anywhere in the world. With dropshipping you don’t have to carry out regular stock inventories, instead, you can directly ship the products from AliExpress to your customers. AliExpressApi Search & Import provides advanced search methods: by using several search criteria, finding the right product will be easier. 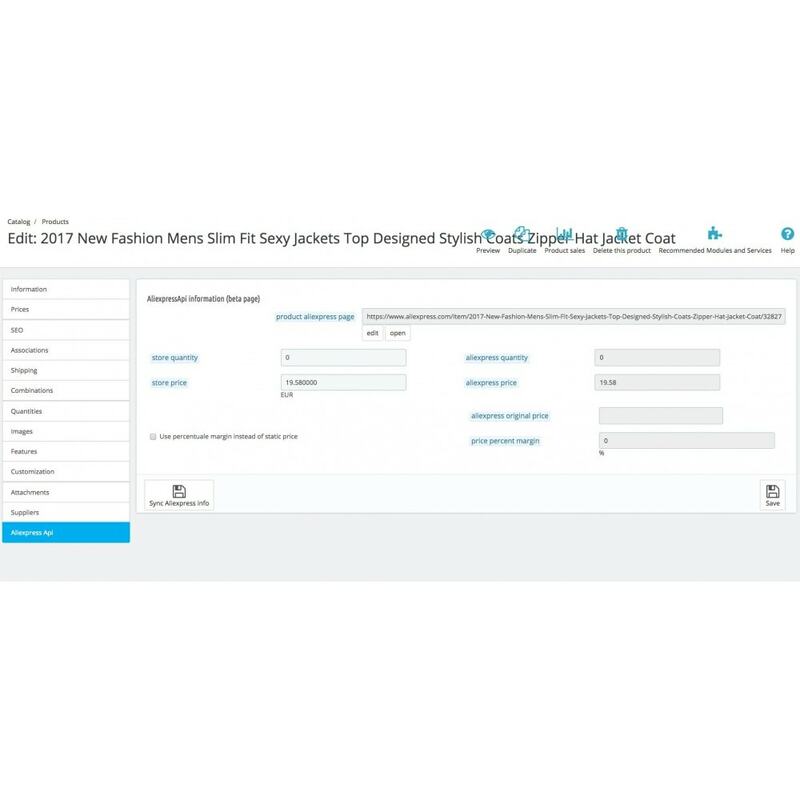 The list of search criteria will reduce the time needed to select products, so that the customer will be able to add them to his marketplace with just a few clicks. 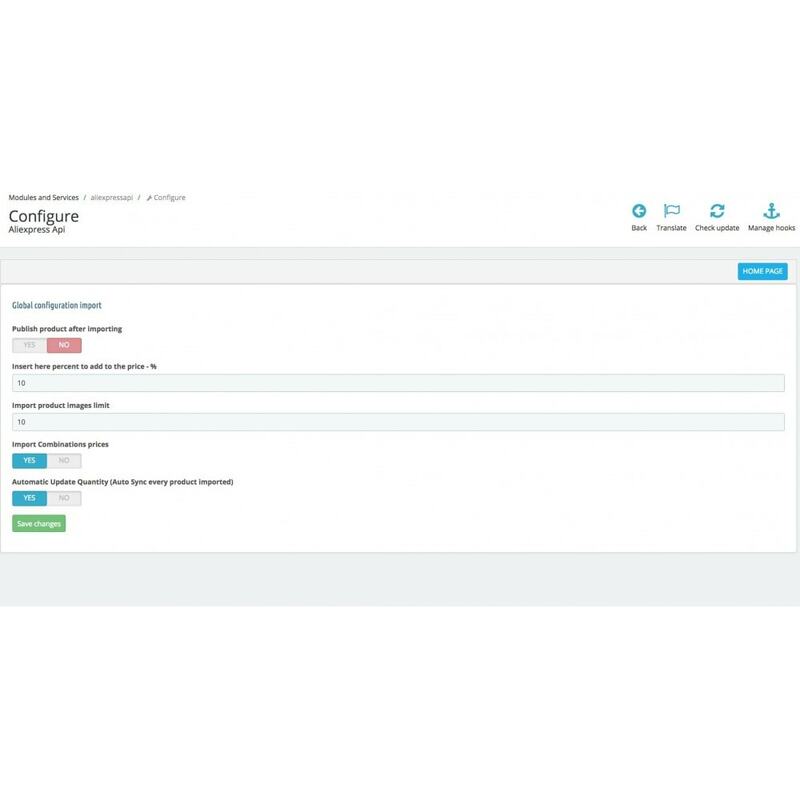 AliExpressApi Search & Import provides an additional abstraction layer that enables the end-user to change major information about the final product. Therefore, a dedicated interface is utilized to offer such an advantage, through which the user can modify the price, the requested quantity and many other features. Similar products: It will help the user to link all similar products that can interest him. 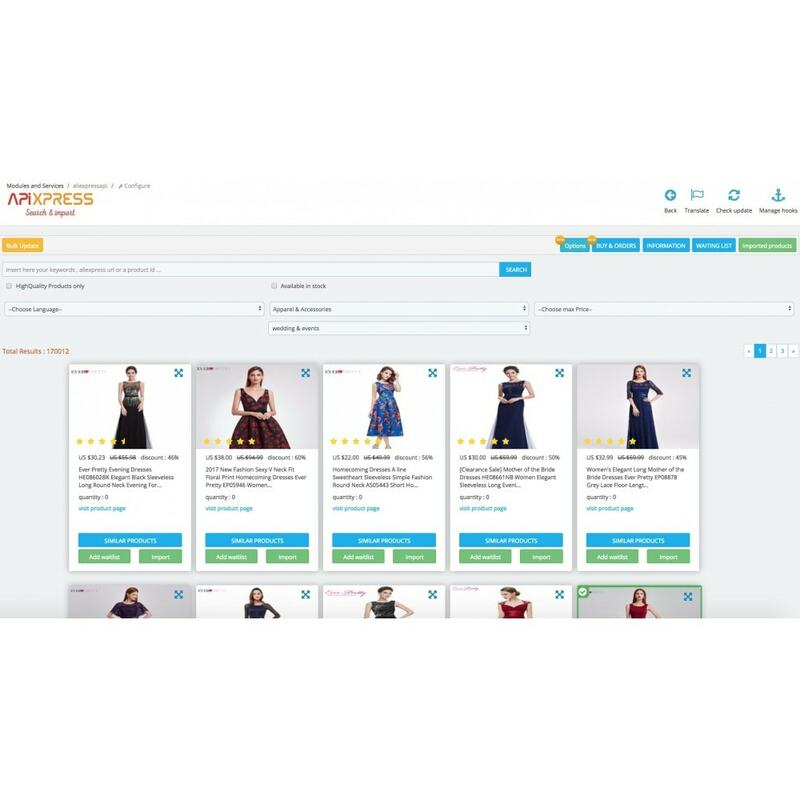 Hot products: It is an additional feature that allows the user to filter products based on their selling status. Free Shipping: It is a search criteria that allows the user to filter product by shipping cost. Free shipping constitutes an interesting search criteria to end-users. Import products from Aliexpress into your store automatically. Import all images and data related to the product. Import SEO data support for many languages store. 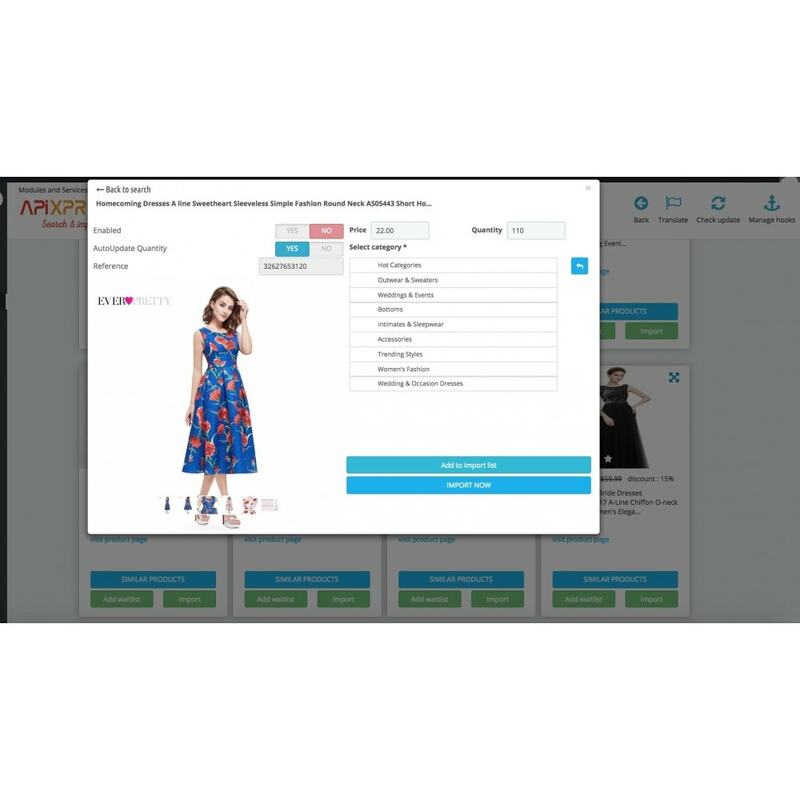 This module use the Aliexpress Official API & Affiliate to generate the search result and import products . eBayXpress Importer help you to import products from Ebay Into your store with all informations needed like title , price , images, stock,, SEO data, description in every language from Ebay. In few seconds you have a product ready to sell . EtsyXpressApiImport module is a smart module designed to achieve import & search operations from Etsy.com to your store .